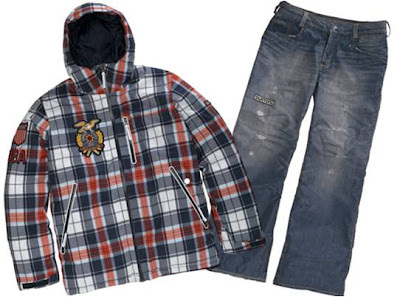 Well if snowboarders are wearing plaid - it must be in. I was very taken by the US snowboarding team's uniform at Vancouver and wouldnt mind one of those parkas myself. Anyway back to interiors this fabric below was Diane Bergeron's pick in a recent fabric trend article in House and Garden and I love it. 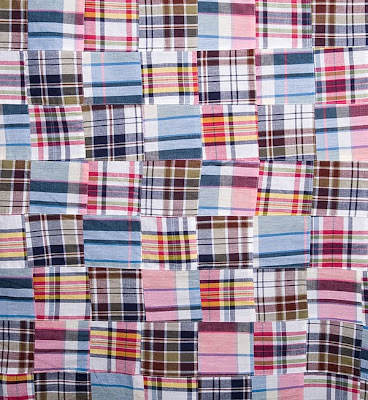 This is the Cape Cod Madras Patchwork cotton and will be available from DB home for $61/m. Apparently it was used on bunk beds in the Obama holiday home on Martha's vineyard if you flick through Diane's highly entertaining blog. I'm keeping it in mind for when my boys say 'enough with the red and blue gingham Mum'. I've been saving this one - for St. Patrick's day of course ! How cool is this green hide bench - I love it. Perfect for a contemporary Irish bar. 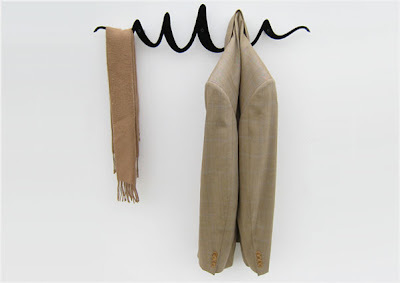 I spotted it on Tracie Ellis's design blog which is well worth a visit. Happy Paddy's day ! 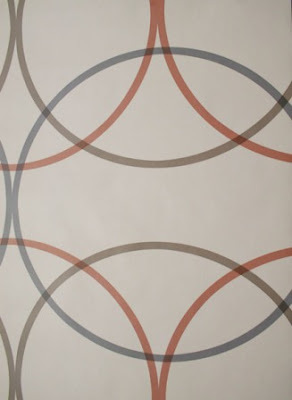 I'm not madly into retro wallpapers but I do think that some retro styles are very elegant and especially like the look of these Hemingway wallpapers in close up. 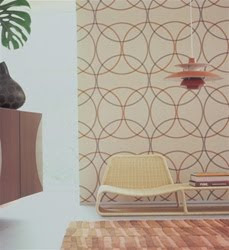 The first one is called Ringo and the second Hula Hoop, both available from Wallpaper Shop. My book club meets on the first Tuesday of each month and from time to time I post something about books on the first Tuesday also. Most of you will know uber-blog Desire to Inspire and the two authors Kim and Jo. 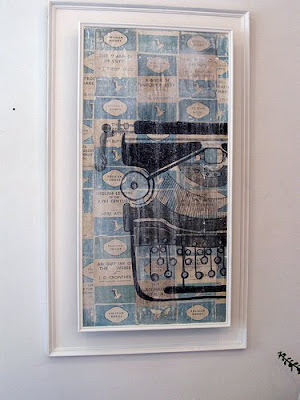 These fabulous multi-media artworks are by Jo - the Brisbane based half of the duo. 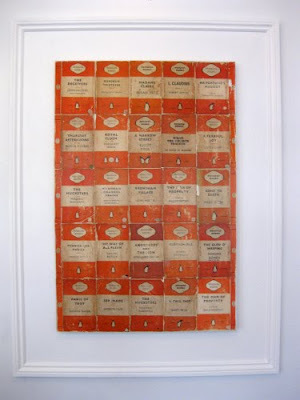 Jo shops around for vintage penguin books, keeps the collectables and makes artworks with those that are in poor repair. It is no surprise that her exhibition sold out completely. Headsprung in the UK have some great innovative products with Scribble being one. 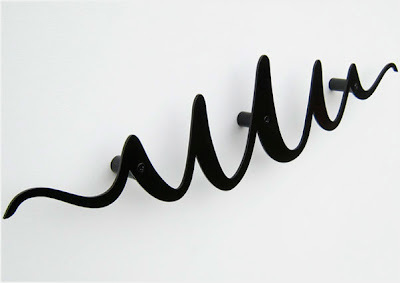 I think a series would look great - especially in the offices of a business that works with typography or pens even. 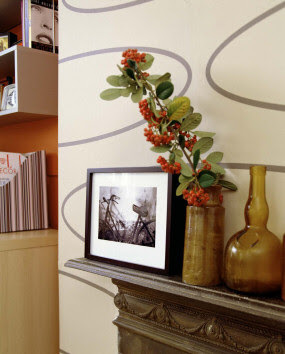 Also a good way of adding curves and movement to a boxy corridor or hallway.